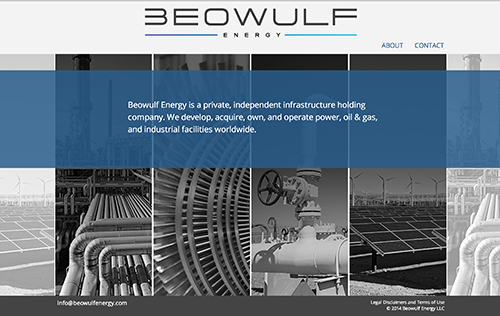 This website is the first online presence for Beowulf Energy, an established private infrastructure holding company. The site was designed to provide basic information for potential partners and clients. We worked with Beowulf Energy’s management to create an online look and feel based solely on their existing logo and their vision.